God seems to give us signs in nature. 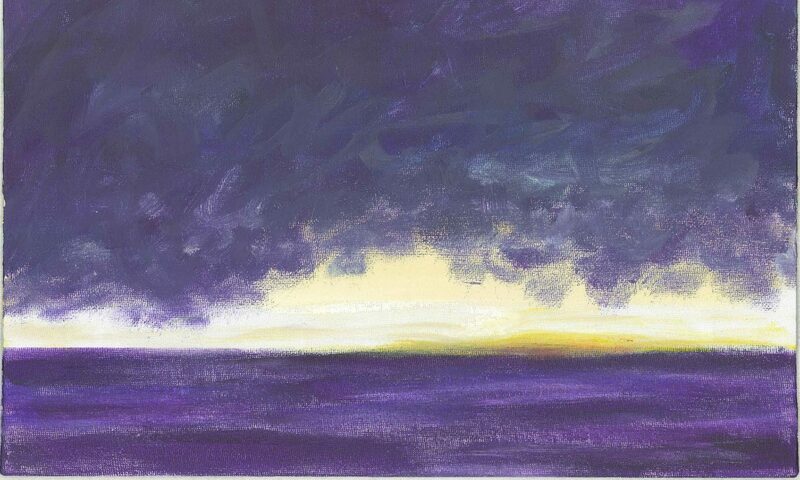 After our ship had passed through the storm in the Bay of Biscay, during the following morning I saw a rainbow rising from the ocean. The rainbow is a sign of God’s mercy and hope. God sent a rainbow for Noah to see after the Great Flood (Genesis 9:12-17). 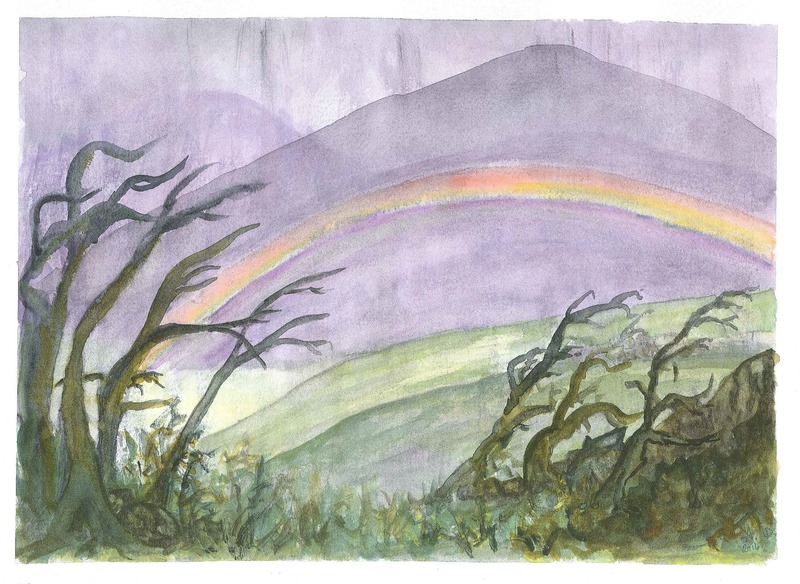 For the illustration for this chapter I chose to paint a desolate rain-drenched scene with a rainbow arched over a mountain valley as a sign of hope.